Like most beers, I bought this because of the label. I mean, it’s President Benjamin Franklin… of course I’ve gotta try that (and yes, if there was a beer made for each president, I’d definitely have to try those). 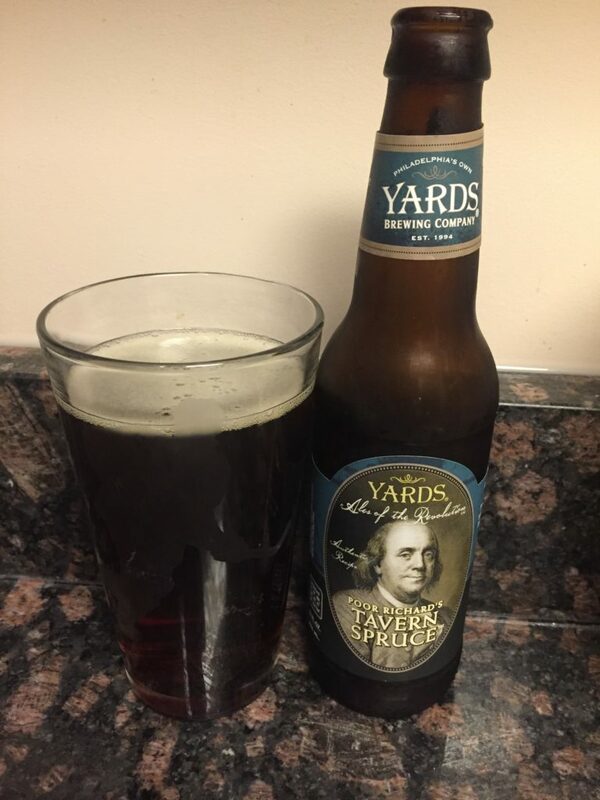 Based on Benjamin Franklin’s original recipe, which called for barley, molasses and essence of spruce, our Tavern Spruce is as approachable and engaging as the man himself. We source blue spruce clippings from a local organic farm, Indian Orchards, steeping them in the kettle to create this one-of-a-kind deep amber ale. Whatever. It tastes like Christmas. Yards Brewing Company has more beer that I’m now anxiously planning on trying. This Honest Ben Franklin one is 5% alc. 5 stars.